I love the hearfelt thought you put into showing your mother how much you love her, BUT, heed the warning... when you get older you'll regret having a tatoo in such a prominent place! AND I bet your Mom would still ground you if you went off and did this on your own. 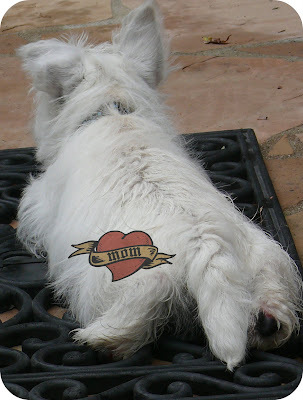 Consider a tatoo that washes off after so many days of showing Mom just how much you love her! Much wiser choice little buddy.